Ladies in the congregation-you are automatically a member of the LWML. Free membership! How exciting! Something that is free, but yet so much fun and rewarding! 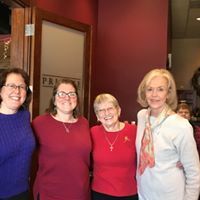 For those ladies not familiar with Lutheran Women’s Missionary League (LWML) is the official women’s auxiliary of the LCMS. 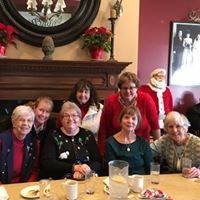 The group has focused on affirming each woman’s relationship with Christ, encouraging and equipping women to live out their Christian lives in active mission ministries and to support global missions. We do this by meeting quarterly, attending rallies, and other events at our church. We also can assist the other groups, Women’s Guild or Ladies’ Aid when needed for service projects and for funeral lunches/dinners. We serve because He first loved us and fellowship with our sisters’ in Christ is the best! We welcome all of you to join us at our quarterly meetings as well as other events. * Please join us for the above meetings/events as well as the Spring Rally on May 5 as we host the event for our district. 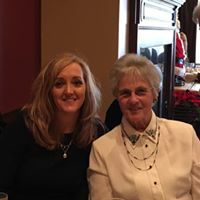 · Ladies Aid meets on the first Thursday of each month at 12:30. · Women’s Guild meets on the 2nd Sunday of each month in Luther Hall at noon. · You can also join one or both Bible classes on either Tuesday at 7:00pm or Thursday at 8:30am in Luther Hall.